Since Kerala Houseboats are an attraction, most of the tourists who visit Kerala backwaters are used stay overnight in Houseboat. Due to many reasons, 20% or more tourists want to experience the backwater in houseboat but do not want to stay overnight. In this article we would like to give more information about day trip or day tour in Houseboat. Before giving details about the different day tour or day trip, one should know what is the duration of the trip they get while staying in Houseboat. Normally for an overnight booking, normal check in is at 12:00hrs and houseboat make a trip till 17:30 or 18:00hrs. During the trip, the boat halt for an hour lunch break also. Next day 07:30hrs to 09:00 or 09:30hrs depend upon the operator policy. 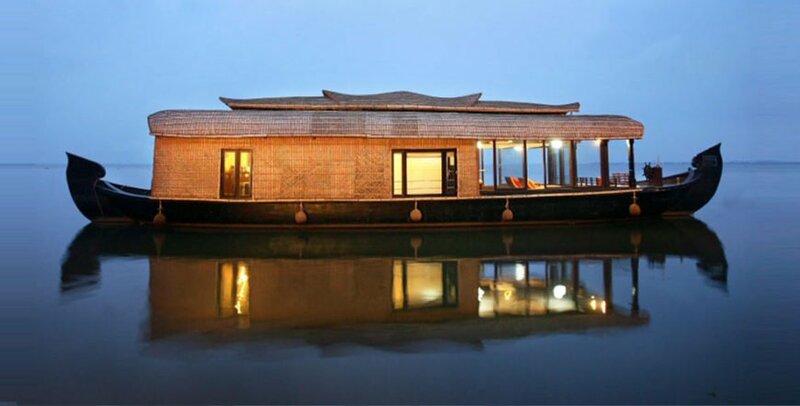 That means, when an overnight houseboat stay is booked, generally a tourist get approximately 7hrs backwater ride. In case the guest got late, then trip time is again reduced. Considering the day trip in houseboat, it is available from 11:00hrs to 17:00hrs or as per the demand by the guests. Generally, houseboat day trip means 6hrs trip which includes half an hour to one hour lunch break. That means, if you book a day trip boat, actual trip time you get is 5hrs and paying for 6hrs. Below are the main reasons as to why 20% or little bit more tourists look for a day trip than overnight stay in Houseboat. There are more reviews about complaints than compliments in the review sites. The houseboat is stationary after 6pm. Some of the guest thinks that it is not safe to stay overnight with 2 or 3 unknown persons. Some of the guest thinks that day tour will be cheaper than staying in overnight. Except in case of Luxury houseboats which are all fully glass covered, most of the boats are front open. Therefore, mosquito or insects are always a problem. 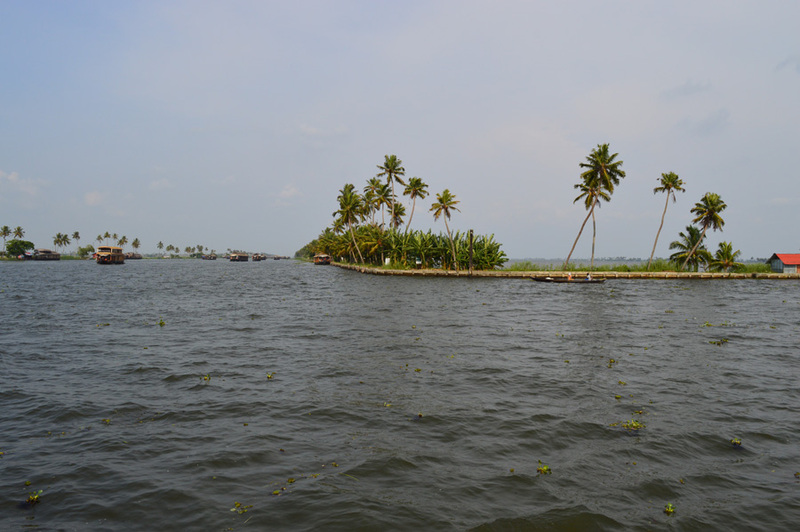 Some of the guests are not staying in Alleppey therefore have only few hours for the backwater trip. What is The Difference Between Day Trip & Night Stay in Houseboat? We need to understand the difference between Day trip and Night stay in a boat, before comparing the prices, value for money etc. Having decided to experience Alleppey backwaters in Houseboat, now it’s time to decide whether a few hrs day trips or an overnight stay is worth. Houseboat day trip duration is always flexible and fixed according to guest requirement. Minimum 3hrs to maximum 7-8hrs can be booked for a day trip. But duration of day trip is depending upon which are the places you are visiting during the trip. In an overnight experience, you are visiting a good number of beautiful canals and villages. If you compare the same and want to convert to a day trip, you need minimum 6hrs in houseboat to experience the backwaters. In case you want to have a glimpse of backwaters, a 3hrs backwater trip is more than enough. If you are choosing a day tour or day trip in houseboat, you need to spend money for that day stay also. Normal Check in for an overnight houseboat trip is at 12pm. It used to stop for an hour lunch break and then finally halting at 17:30hrs or 18:00hrs. In this case the houseboat has a trip of 5hrs during the day. Next day all the houseboats give minimum an hour ride, making a total of 6hrs trip. That means, in case you book an overnight houseboat, you get approximately 5hrs backwater trip. The added advantage is the dinner included in the trip and overnight stay for the same price. Usually a single couple private houseboat will cost at Rs 8000, 2 room houseboat at Rs 12000 for 4 adults (price calculation during season from 01 Oct to 31 Mar). Having explained about overnight stay and day trip in houseboat, we need to understand the price structure, whether its value for money spent. We have already explained about the sharing houseboat and its problems. Here we compare the prices of a private houseboat and day trip houseboat. It appears from the above that there was not much difference in taking a day trip or an overnight stay. In case of a small group of 10 and more, always a day trip is cheaper than overnight stay. The overnight stay in boat gives extra advantage of getting full board also. That means, whether its private boat or sharing, value for money is booking a 22hrs overnight trip houseboat package than day trip. Day trip is always expensive as one need to pay extra to hotel also to stay for an overnight in the particular location. 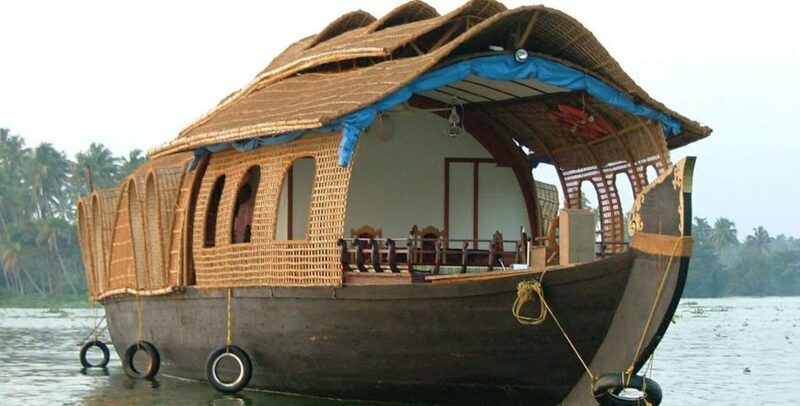 Introduction – This few hrs day trip in houseboat is designed for those who does not want to stay in boat or does not have much time due to their schedule in Kerala or those who want to experience houseboat for few hrs. One can select two different route – first one is from Kumarakom to Aleppey and back, second one is Kumarakom – vembanadu lake – pathiramanal island etc. Programme – Check in Houseboat and cruise through Vembanadu Lake – the biggest lake in Kerala. One have a chance to experience the biggest fresh water lake in Kerala along with Chithirakayal (small lake). The houseboat make a trip through R Block and C Block canals – which is in Aleppey – all paddy fields where paddy cultivated below sea level. OR visit Pathiramanal Island in Vembanadu Lake, glimpse of Kumarakom Bird Sanctuary from lake, canals of Kumarakom etc. 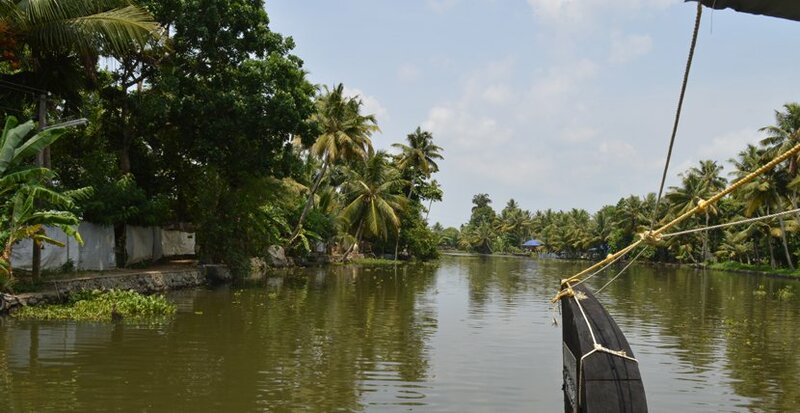 The negative aspect of Kumarakom village and narrow canals is that due to several bridges, 98% houseboats located in Kumarakom are not making a trip to these canals and villages but more concentrated in the Vembanad Lake or Alleppey. But there are couples of houseboats, which are small in height, offer this sightseeing tour on a premium price. Most of the guests do not know that they can also go to Alleppey by houseboat itself for day trip. 3hrs houseboat day trip is arranged for those who have less time or fewer budgets or want to have a glimpse of Kumarakom backwaters and just to have experience in a Houseboat. 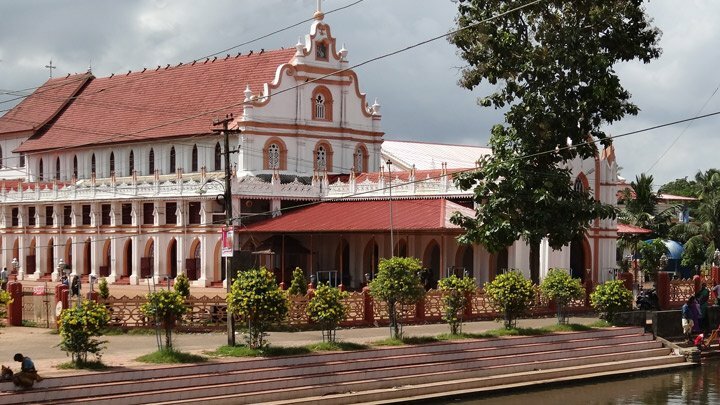 Kumarakom offers 3hrs(short trip) & 6hrs day trip itinerary which are mentioned below. 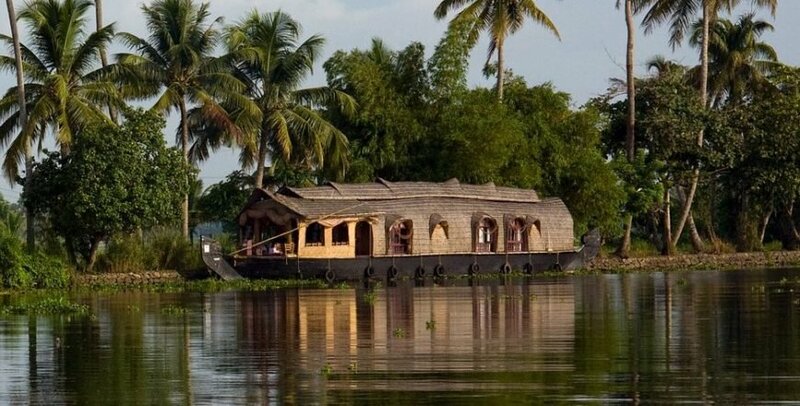 Introduction – Day Trip in a Houseboat is recommended to those who are staying in resorts or passing through Alleppey. This short tip will give a taste of houseboat as well as surrounding places of Alleppey backwaters. Depending on budget of the visitors, this day trip is available in two schedules. Check in Houseboat. Cruise through Alleppey backwaters. Alleppey backwaters offers beautiful big rivers, small canals, villages, paddy fields and many more which gives tourists a memorable experience. After all, Alleppey backwater experience in a houseboat is a unique and different experience one may not get in another part of India. Lunch, evening snacks, dinner and breakfast will be provided (if required). Check in and Check out : Alleppey Punnamada Jetty. Programme I : Houseboat short trip starts at 09:30 Hrs. 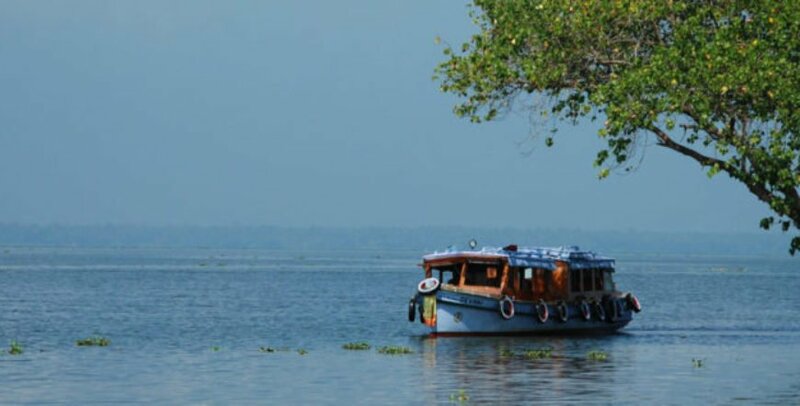 Houseboat makes trip through punnamada lake, SNDP thod (small canal), Kuppappuram Jn, part of Vembanadu lake near Kainakery and drop at Alleppey. Programme II: Houseboat Day Trip starts can start any time after 10:00 Hrs and make a trip through Punnamada river. This river is famous for Nehru Trophy Boat Race which is being conducted every year. The boat enter SNDP Thod (Thod means canal) which is the smallest canal in this trip (width 30-35 mtrs). During this 1 hr cruise, boat can stop some of the places and you can walk in the village to see and experience the village life. At the end of this canal the boat will stop for Lunch. Boat makes a cruise through Irrmbanam Thod (this is also a small canal). One can also see both side paddy filed. Boat make a trip through C block Canal and reach Punnamada jetty after 5 hrs. You are coming for a short trip and need to experience its maximum. Prior booking, you must know where you are going and which are the places you are covering. In case you are coming from other place to Aleppey for the day trip, ensure that you reach at correct time. Make sure your booking agency clearly give all the details. For example, it is a 6hrs trip, check whether a lunch break is included or excluded. In case you want to see a couple of good narrow canals, ensure that you book a small boat so that the boat can make a trip through narrow canals. In case you are staying in a resort, which is on the canal side or river side, check whether the houseboat can check in directly from the resorts.